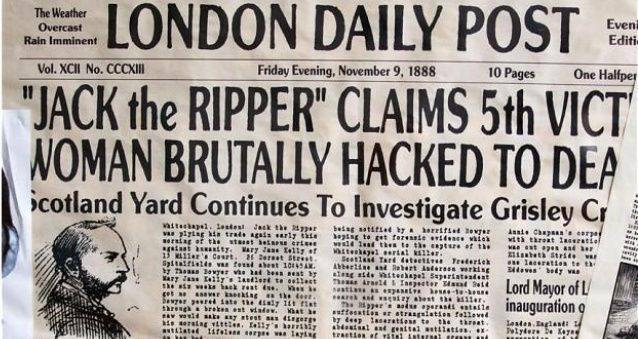 Was “Jack The Ripper” Merely A Creation Of The Newspapers? One theory suggests that Jack The Ripper was a media invention created to sell unrelated gruesome murders as one marauding serial killer. While the mystery surrounding the true identity of “Jack The Ripper” continues to confound historians, some have chosen to ask a more fundamental question: did “Jack The Ripper” even exist? At its face, the question seems ridiculous. In 1888, five women were killed in the Whitechapel district of London. The documentation on these murders is extensive, with police reports and mountains of contemporary press accounts, making these murders some of the best documented in history. The question then is not whether or not these murders occurred, but whether or not all of them were committed by the same “Jack The Ripper.” Rather, the murders could have been the work of discrete individuals with their individual motivations and methods. This is the theory espoused by author Simon Wood in his book Deconstructing Jack. 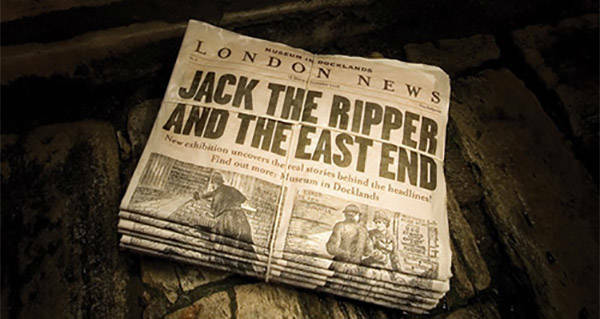 Wood believes that the Whitechapel murders were the work of more than one murderer and that the narrative of a single “Jack The Ripper” was a creation of the media at the time. Though this may seem unlikely given the great cultural presence of “Jack The Ripper,” once the evidence is considered his theory makes quite a bit of sense. 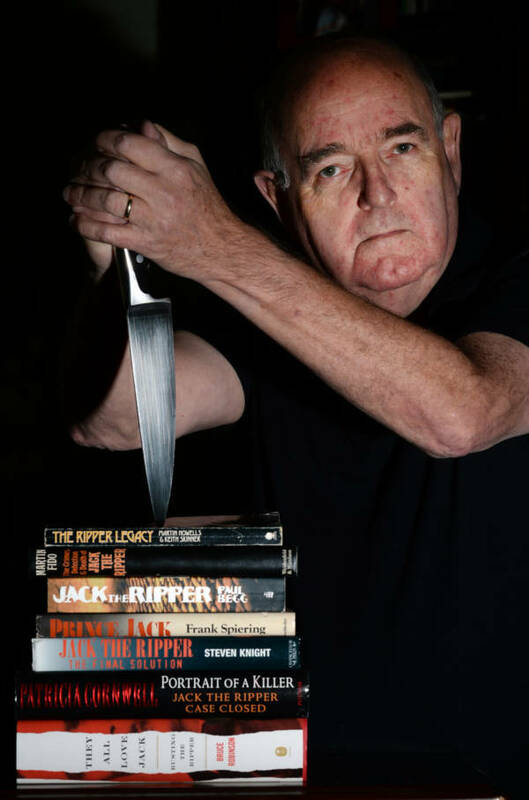 Will Lester/Inland Valley/Daily BulletinAuthor Simon Wood, 71, believes there was no such person as Jack the Ripper. Firstly, the connections between the five 1888 Whitechapel murders are not as concrete as one might believe. Though the victims were all prostitutes killed with knives in the same London neighborhood, the nature of each death was quite different. Two of the women killed on the same night, Catherine Eddowes and Elizabeth Stride, in what was dubbed by the press a “double event,” were murdered with significantly different knives, one sharp and pointed and the other short and broad. Also, neither of these two were strangled to death before being stabbed and mutilated like Mary Ann Nichols and Annie Chapman, the first two women whose deaths were attributed to Jack The Ripper, were. The identity of a single killer behind these murders has long been supported by the Jack The Ripper letters, in which the serial killer boasted to police of his horrifying feats. In fact, it was in these letters that the name “Jack The Ripper” first became associated with the killer. However, nearly all the letters believed to have been from the killer have been proven to be fraudulent. The letter that first refers to him as Jack The Ripper, the infamous “Dear Boss” letter, gained attention for its claim that “I shall clip the ladys ears off” before the next victim, Eddowes, had her earlobe severed. Police at the time, though, concluded that this reference was coincidental and that the letter was a hoax. A second letter, one referred to as the “Saucy Jacky” postcard, briefly intrigued police, was written similarly and continues to intrigue those fascinated by the Jack The Ripper murders. In 1931, two reporters from the London Star came forward to say they created the fraudulent postcard. In both cases, the stated motive behind these fakes was to generate more sales of newspapers. More credible letters from the killer do exist. The “From Hell” letter was one received by George Lusk, the chairman of the Whitechapel Vigilance Committee, accompanied by half a human kidney the day after the killing of Mary Ann Nichols, who had her left kidney removed by the killer. Wikimedia CommonsThe “From Hell” letter. While many at the time believed the letter was a hoax by medical students, the presence of this kidney does suggest that it could be a genuine article. Other letters exist but have even less credible claims to being the work of the infamous Ripper. Considering this evidence, Wood concludes that it is likely that Jack The Ripper was a fictional construct created by newspapermen to turn a couple of unrelated gruesome murders in a dangerous and seedy neighborhood of London, into the story of a dastardly serial killer. This fictional creation inspired a number of hoaxes, only further entrenching the idea of a single killer into the minds of the populace. He believes that even if these letters do prove that the writer of one or more of these letters had knowledge of the killings, they only relayed knowledge or evidence from one of the killings, meaning the letters do not tie the multiple killings together into a serial murder spree. In this formulation, there is no true Jack The Ripper to be uncovered by modern historians, merely a number of murderers whose identities have likely been lost to history. While this may be a less satisfying view of the Jack The Ripper murders, it does display how popular media can distort our understanding of events to create a more entertaining narrative. Next, read about the theory that Jack The Ripper and American serial killer H.H. Holmes were the same person. 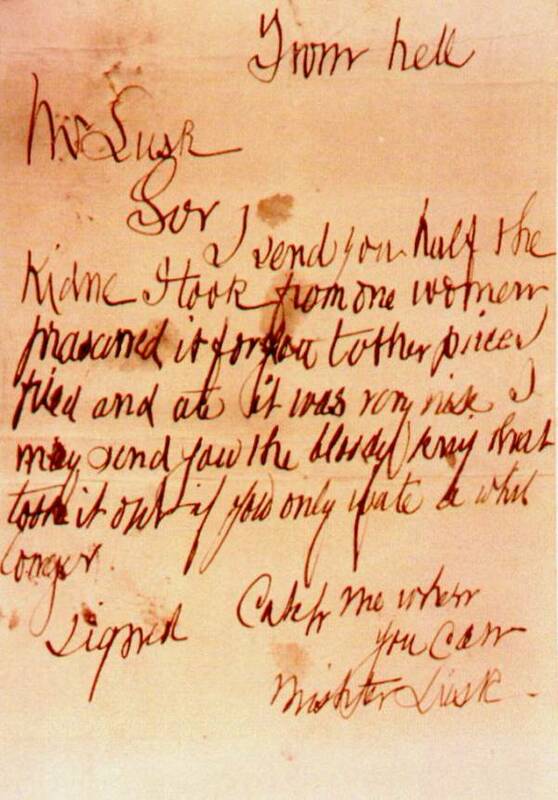 Then, read how a postcard that Jack The Ripper allegedly sent to police is up for auction.